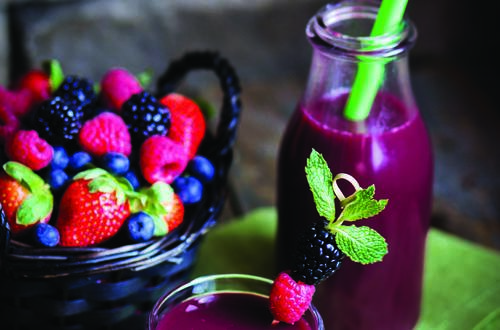 1 Blend all ingredients in a blender till smooth: 2 cups Lipton Classic Green Tea (prepared as per instructions on pack & cooled) 1/4 cup low fat yogurt 1/4 cup mixed frozen berries (raspberries, blueberries, mulberry, blackberry) Serve in a small glass with a straw and a few chopped berries. Lipton’s Jasmine Green Tea harmoniously joins the refreshing vigour of Lipton Green with the floral and ever-so-sweet notes of jasmine. Warm up with this super easy Lipton® tea recipe! Amazing Lemon Mint Tea! Lipton® Black Tea and mint fuse together to create this delicious and refreshing tea.